Made from grapes or grass clippings, it’s still good wine. Is your brew too young? Too old? Or just right? Chuck the recipes. Crunch the numbers. Question style. 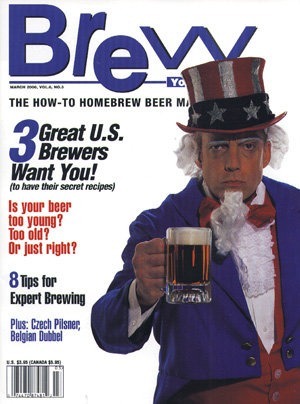 And five other steps to help you join the ranks of advanced homebrewers. Malted barley is the heart of all beer. Whether you’re a seasoned all-grainer, a partial masher, or an extract brewery, the condition of your grains need to be just right. Here’s the scoop on milling at home.